Two game activities – i.e. a choice of either a morning/afternoon game drive in the Zambezi National Park, and a sunrise/sunset river cruise – per person per day. Snacks & drinks are included on the game drives and/or the sunset river cruises. Bird watching on Kandahar Island. Airfares, Airport taxes & levies mentioned above are approximate guidelines and will be confirmed at time of booking. 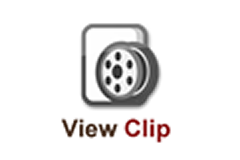 Prices are subject to change without prior notice due to increases and currency fluctuations. 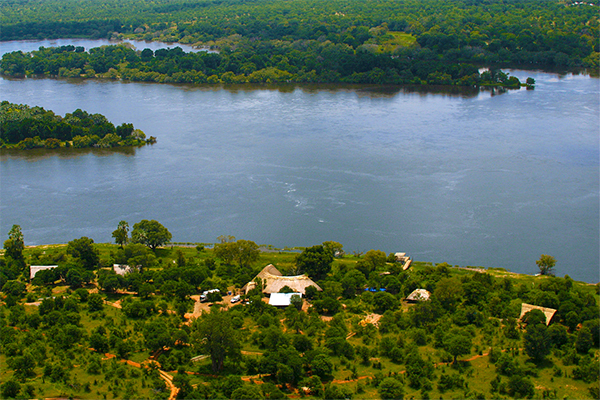 The Victoria Falls River Lodge is the first private game lodge situated in the Zambezi National Park. The lodge features newly built luxury tents with 5 star accommodation. 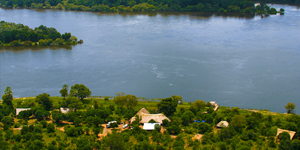 The lodge is situated along the Zambezi river and offers spectacular views of the Victoria Falls as well as easy access to a number of activities offered locally. This 5 star lodge features a sparkiling infinity pool aside a bonfire and bar area. The lodge has a 24 hour front desk facility with an information area and a business desk where there are computers and access to free wifi. The lodge offers a mobile spa service that can do manicures, pedicures and massages. Met on arrival at the Victoria Falls Airport. Transferred to the Victoria Falls Hotel, Zimbabwe. Enjoy a day at leisure. Overnight at the Victoria Falls Hotel. Breakfast included in your stay. Enjoy a day at leisure in Victoria Falls. Optional activities available. After breakfast, join fellow travellers on the Victoria Falls station platform. Board the train as Rovos Rail departs Victoria Falls. Lunch is served in the dining car/s. Dinner is served in the dining car/s. Breakfast served in the dining car/s. Dinner is served as the train heads towards Lobatse. Arrive at Mafikeng for border formalities. Arrive at Capital Park Station in Pretoria where the journey ends. RACK RATE ONE WAY per person sharing includes accommodation, meals and excursions during the train journey, as well as alcoholic beverages whilst on board the train. Hotel accommodation is on a bed and breakfast basis only.